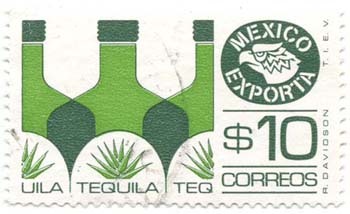 The late 20th century is characterized by the emergence of issue mills: poor countries that supplement their income by selling stamps that are effectively only intended for collectors. 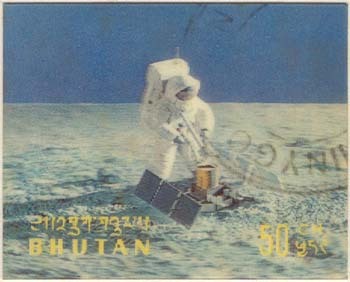 A great example are the 3D issues of Bhutan, an example of which is shown to the right. 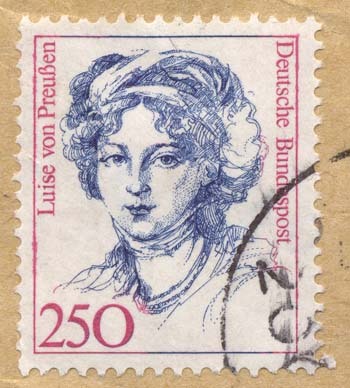 This is also the era of the great modern definitive series, with dozens of values, hundreds of individual printings, many thousands of postmarks, and great eye appeal: the U.K. Machin heads, the Mexico Exporta Issue, and the Germany Women and Sites Issue.